The Pistons won their third straight game and fifth consecutive game at home in a win against one of the best teams in the NBA. Detroit’s 100-109 win against the Spurs was the first for interim coach John Loyer. From a fans standpoint, this team look entirely different from the one that lost to the Magic just a few days back. Detroit seemed to have a spark and really gave 100% the full 48 minutes. Detroit started off strong out of the gate and nothing set the tone like this ridiculous block Andre Drummond sent to the other end of the floor right in the hands of Brandon Jennings for a quick two points. Detroit finished the first quarter on a 15-5 run to take an 11 point lead into the second quarter. Greg Monroe dropped a double-double with 15 points on 7-of-10 shooting, with 10 boards, two steals and three assists in 36 minutes on the floor. Looks like Pistons want to keep the big man for a while. This time it was the Pistons who took advantage of turnovers. Detroit with 11 on the night and the Spurs 19 turnovers led to 26 points for Detroit. There was a lot of chatter at the Palace about the Cheeks firing. Most fans saw it coming, but were shocked it happened when it did. 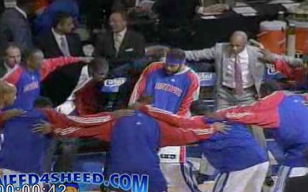 Nice showing from the Pistons bench. It was also nice to see Loyer give the starters a break after they’d been playing a ton of minutes of late. Rodney Stuckey put up 20 points on 7-of-13 shooting with four boards, a steal and three assists in 27 minutes on the floor. Bynum is now out of the dog house. Will played 15 minutes with two assists, two steals and eight points. Caldwell-Pope seemed more comfortable, scoring nine points on 3-of-7 shooting. He has an uncharacteristic two turnovers in 21 minutes. Brandon Jennings continues to lead the Pistons in points. Brandon scored 21 on 8-of-18 shooting, with four boards, six assists and two steals in 32 minutes on the floor. No better assist from Jennings than this lob to Andre Drummond. Six Pistons in double figures. 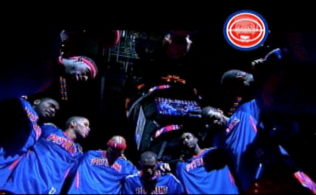 A win against the Cavaliers on Wednesday can tie the Pistons longest winning streak of the season at four. 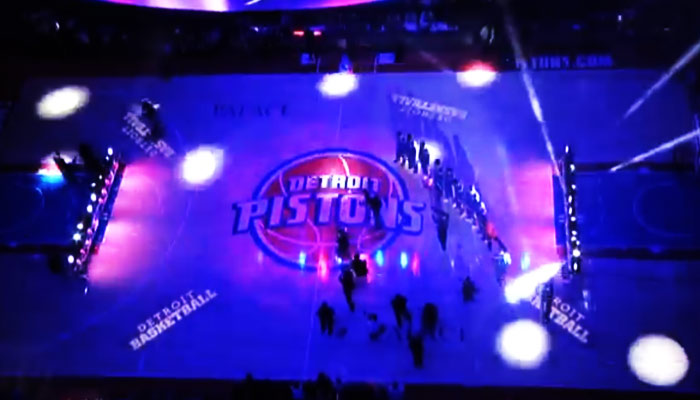 6 Responses to "Pistons Top The Spurs In John Loyer’s Debut"
Sitting in section 112 I was surrounded by Spurs fans. Thankfully they remained silent thru most of the game. Perhaps stunned. I like that Loyer promoted Sheed to an assistant coach rather than just a player development coach. If the Pistons do well the rest of the season and make the playoffs, then Gores may actually keep Loyer as the head coach rather than starting over with Hollins. But Joe D. is on thin ice regardless. Now the Pistons need win the next 3 games then they will be in good shape since 2 of the games are against our 8th place rival, Charlotte.